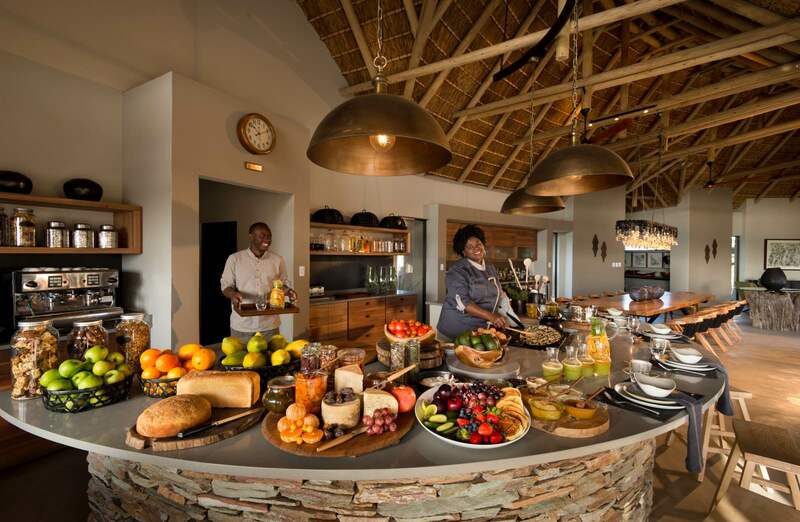 A long-adored family getaway in the bush that merged lovingly into one of the finest safari offerings in the Timbavati, RockFig Safari Lodge is something very special. 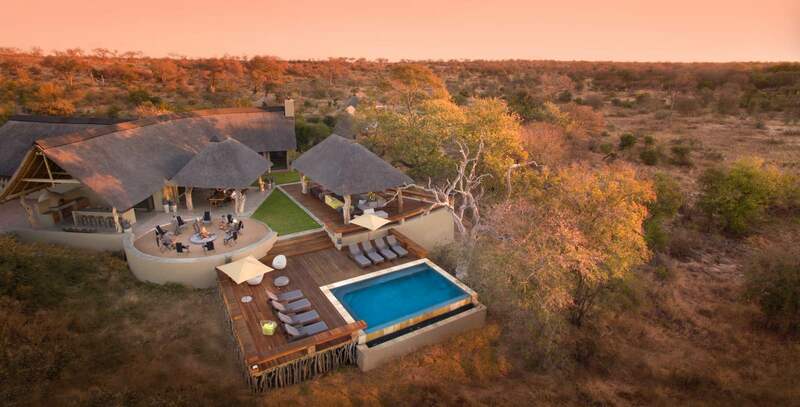 Only six luxury suites make this an exclusive retreat for a family or a small group and promise to provide all the service and style you’ll need to completely relax and unwind surrounded by the wild. 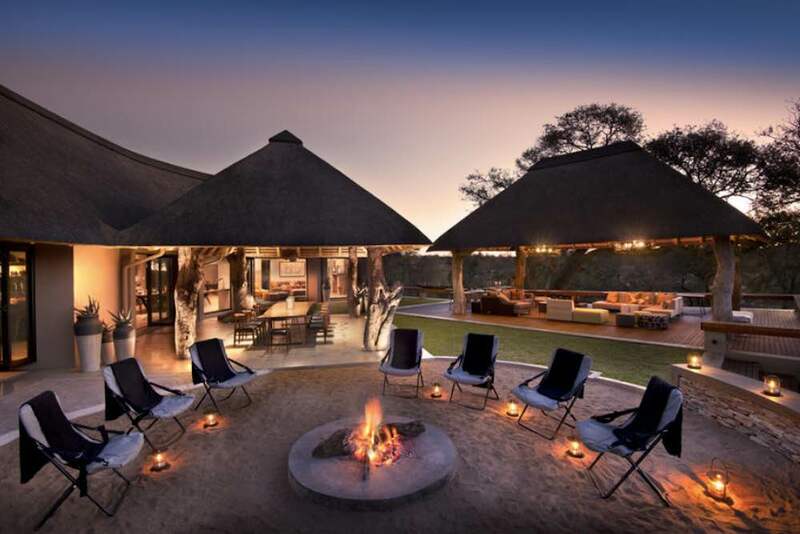 Rockridge’s 2018 relaunch received a full round of applause, and it has certainly earned its place on the radar of this highly sought after part of the Greater Kruger. Named after a resident leopardess who likes to hang out in trees, RockFig has retained its family values and the essence of togetherness that made it so special, to begin with. The luxurious additions have taken it into a new league of style and sophistication, but it still proves to be a place the whole family can enjoy. The interactive kitchen is a favourite feature of the main living area where the open-plan setup invites an audience while excellent, fresh produce is cooked up and served in creative and delicious meals. Kids will love this element of design, and it adds a real homely feel to the whole place. 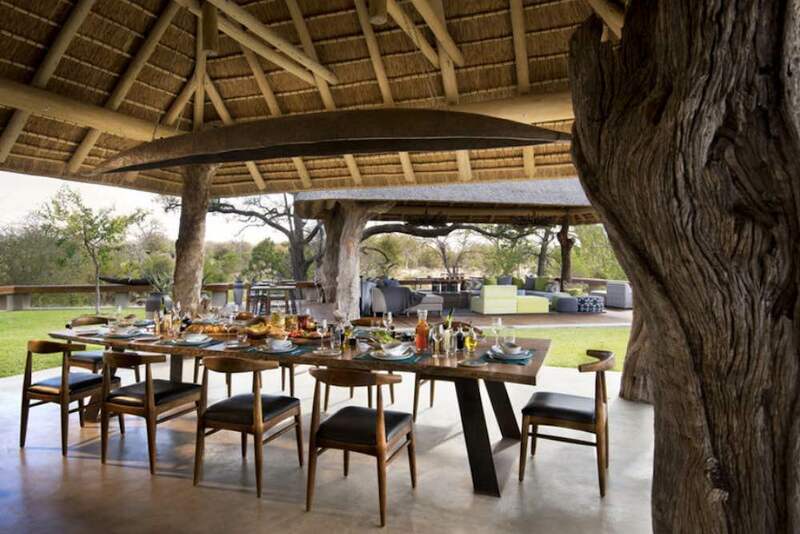 When it’s time to eat, there is a gorgeously made up dining table under a crafty rectangular chandelier indoors, and another long table under thatch outside, plus, there are spectacularly stellar bush dining experiences sure to impress. The work of the architect and the interior design team has truly created the ambience of sophistication in nature, with natural textiles and materials being used to build the structure of the lodge and bedroom units, and to decorate and furnish every area with suitably nurturing style. 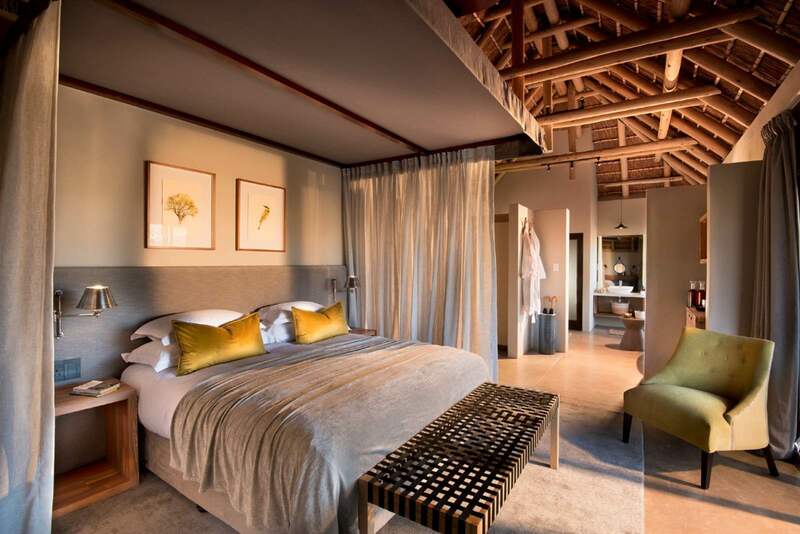 A colour wheel of greens that speak to all seasons of the Timbavati bush weave in and out of the ivory sand base palette, while the thatched roof controls bring the sweet scent of the grass into the bedroom. 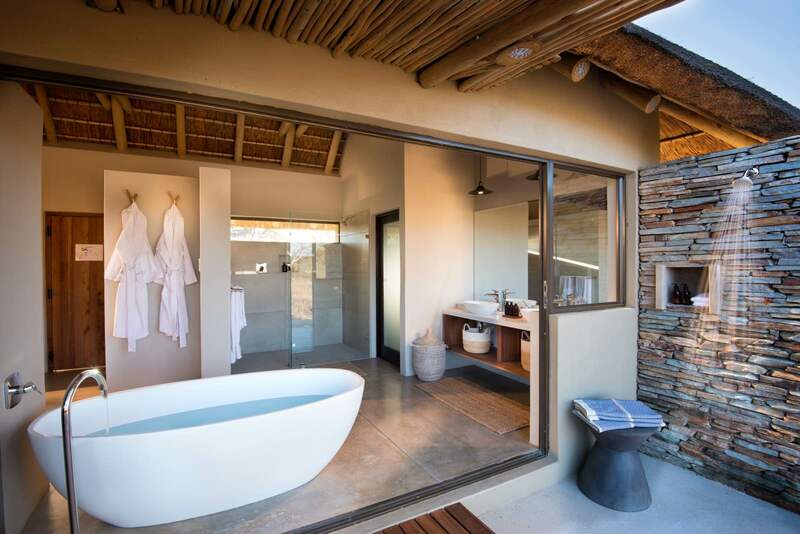 The en suite bathrooms are worthy of long baths in the tub, which enjoys a view of the wilderness, or a shower under the open skies with the invigorating presence of nature. There is an inside shower which is gloriously steamy on chilly nights, and a matching pair of cotton robes to slip into afterwards. If you’re looking to socialise, or for a new place to relax and absorb the abundant surrounds, the heart of RockFig is where you would expect: at its centre. Where the large wooden dining tables and beautiful open-plan kitchen are housed, there is a large outdoor lounge sprawled under a thatched roof and furnished with a variety of comfortable sofas with plump cushions that weave organic colour and texture through the area. Open and airy, and sublimely comfortable with nature right at its fingertips, this is one place you will want to take a cup of fresh coffee after breakfast while you sit and watch the birds. 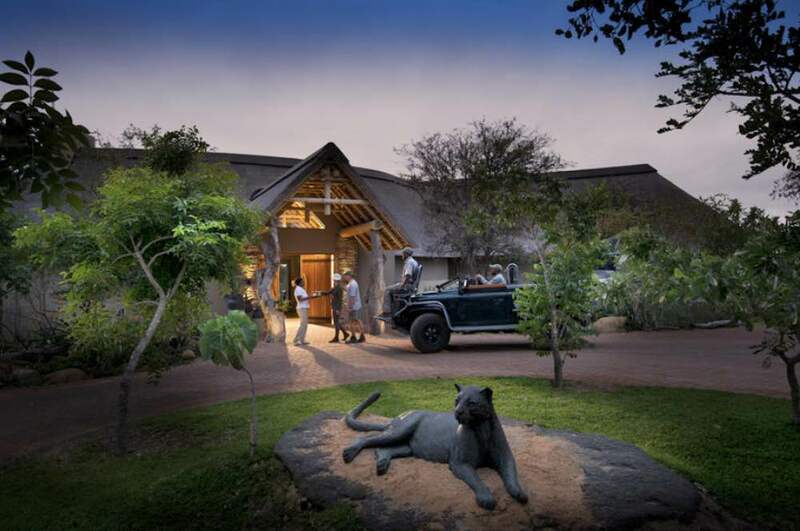 The safari experience is as you’d expect for a lodge of this calibre: exhilarating. Game drives are conducted in 4×4 Land Rovers headed up by expertly qualified guides who have a knowledge of the area and its wild inhabitants. 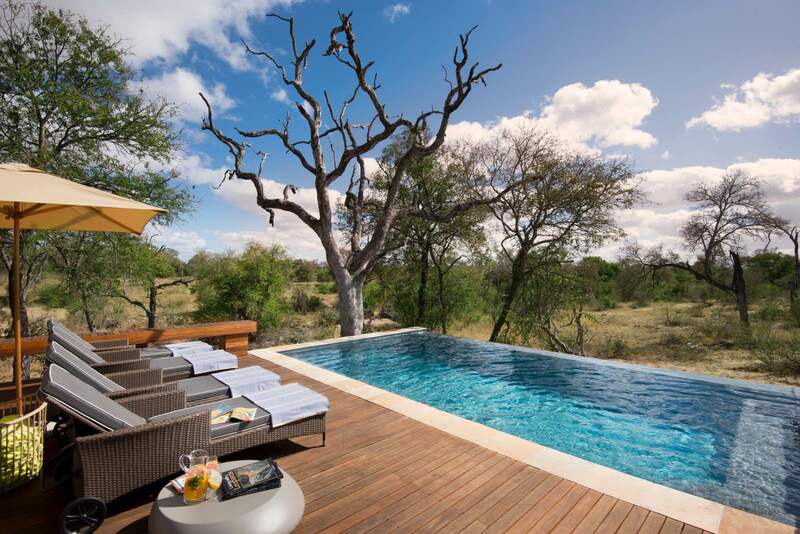 Timbavati is known for its diversity of species and up-close encounters with the Big Five. The rare white lion gene is carried in the area, and every so often a white cub is born to a pride, bringing about the famous white lions of the Timbavati. 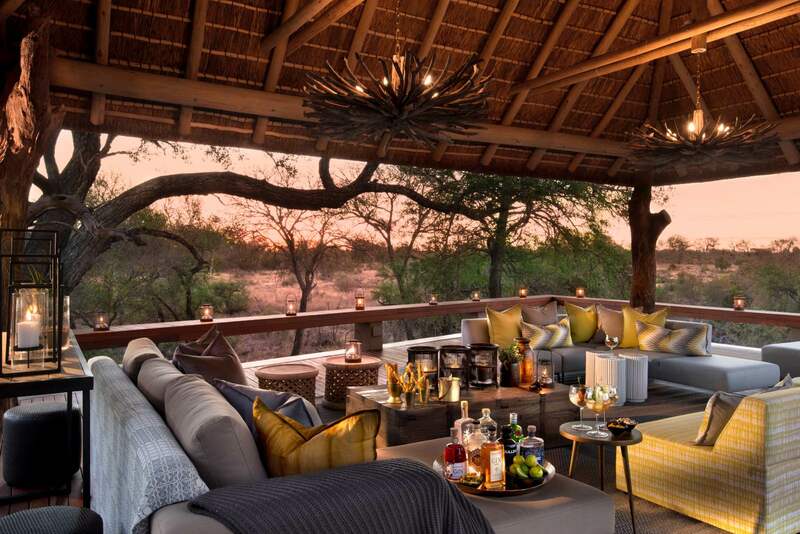 Game drives are punctuated by scenic sundowners, and on a particularly magical night, a bush dinner brings the experience to a glorious end under the stars. 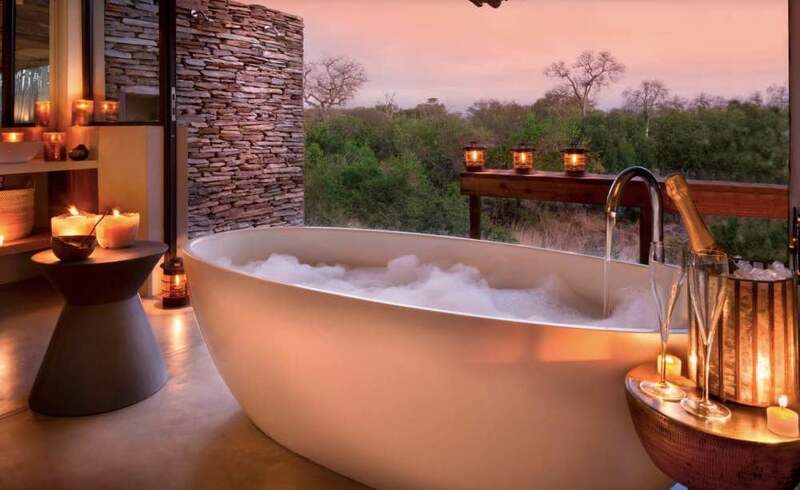 Not to be missed are the interactive bush walks, led by a professional trails guide, and packed with safari value. 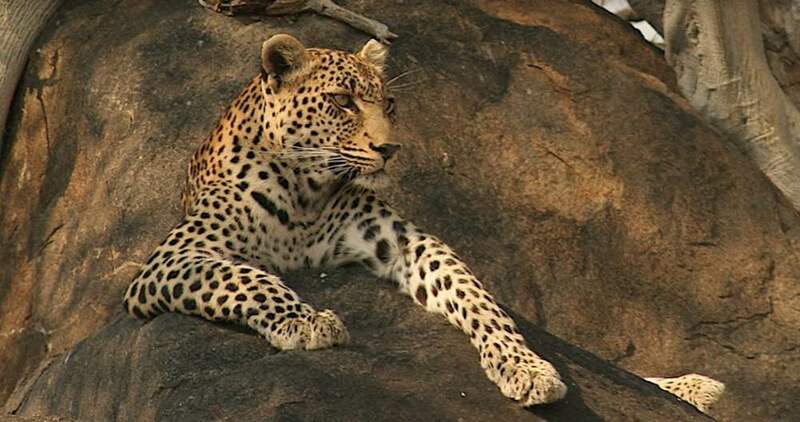 Walking in the wilderness and chancing an encounter with resident leopardess, RockFig, is an exceptionally special part of the experience.